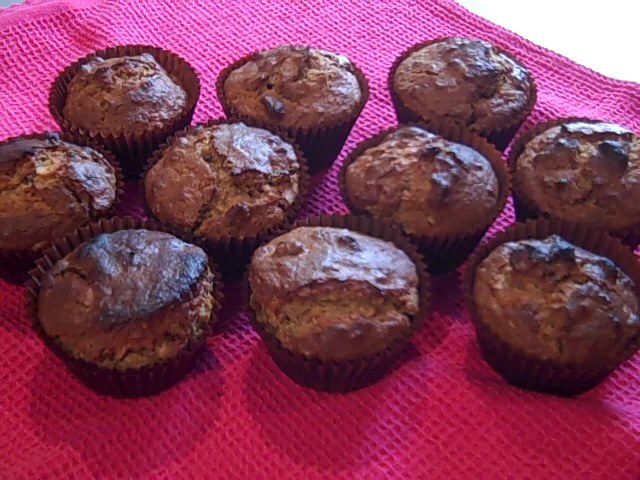 This muffin recipe contains fibre-packed prunes and oats – enjoy them without guilt! Butter muffin tin or line them with muffin cases. Put the flour, oats, sugar, cinnamon and bicarbonate of soda in a large bowl, then mix well together to make sure all is well combined. Beat the egg, then stir in the buttermilk, vanilla and oil. Lightly stir the egg mix into the flour. Fold the prunes and nuts into the mixture. Divide between the cases, then bake for 20-25 minutes until risen and golden. Serve warm or cold. Makes about 20 quite large cookies. Nice and crispy on around the edges and soft in the middle. You could substitute orange for the lemon if you liked. Preheat oven to 200C/gas mark 6. In a large bowl, beat the eggs, then add the remaining ingredients, except the 1 dessert spoonful of lemon juice and the icing sugar, and mix together until smooth (a wooden spoon will do the job easily). The mixture will be quite runny.Line a couple of baking sheets with baking paper and place small spoonfuls of the mixture on the sheets (allowing space for the biscuits to spread) and bake for about 15 minutes until cookies are light golden brown. Transfer to a cooling rack when ready. 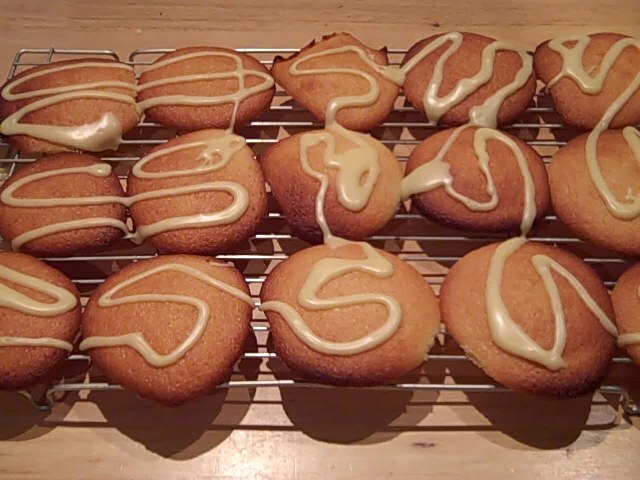 Once completely cooled, mix the dessert spoonful of lemon juice into the icing sugar and drizzle over the cookies. These will keep well for several days in an airtight container. Preheat oven to 180C/gas mark 4. Line a muffin tin with paper cases. Mix together the flour, ground almonds, baking powder and bicarbonate of soda in a bowl. Whisk the eggs lightly in a separate bowl. Stir in the sugar, oil and yoghurt and mix well. Stir in the dry ingredients, stir until only just combined. Spoon the mixture into the cases and bake for 20 – 25 minutes until golden. Leave to cool in the tins for 5 minutes before transfering onto a wire rack to cool completely. To decorate, whisk the cream and icing sugar until stiff. 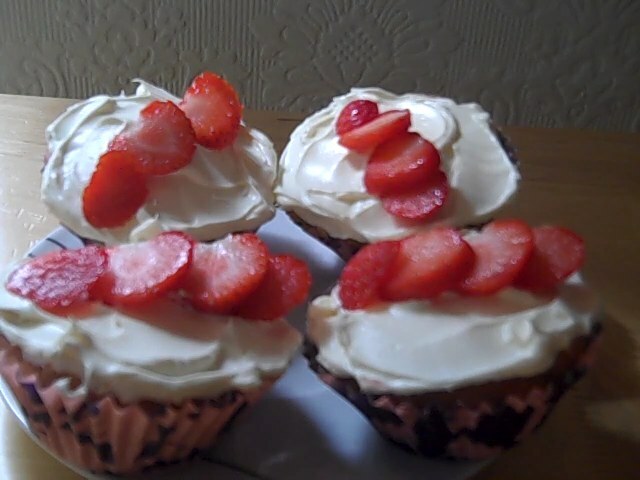 Spread onto the cupcakes then decorate with the sliced strawberries.